Every summer, Yokohama is overrun by people wearing Pikachu customs. In year’s past, they’ve marched and danced. They did that this year. But that’s not all. 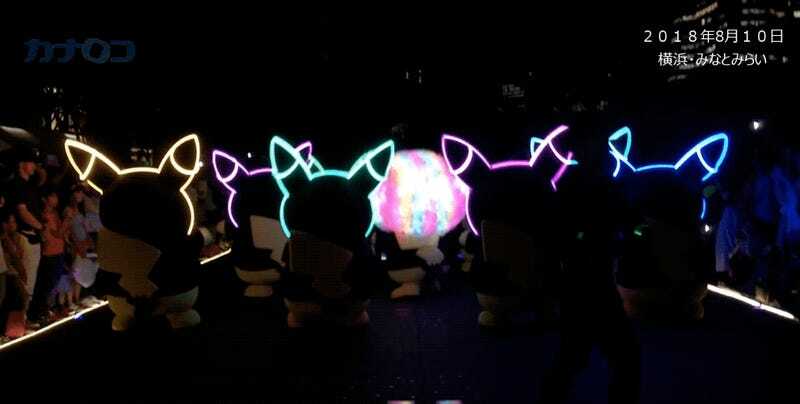 For the first time, there were electro dancing Pikachus. With a rainbow afro Pikachu. Called Pokémon Synchronicity, the event runs until August 16. The stage show looks especially nuts. It’s like a Pikachu rave!